Risk Identification and assessment is the process to identification and controls over risk in workplace to deploy controls to eliminate. Risk identification and assessment is the process or procedure to identify potential risk in workplace and by proper controls over the risk and sources of risk to eliminate the risks or minimize level or risk in the workplace. In the workplace various processes are required to producing material to support of manufacturing processes, supporting processes, heavy equipment and machinery are deployed, so it’s required proper analysis for identification risk from the machinery, equipment and processes. Workplace is fully equipped by manufacturing machinery, equipment and various processes for manufacturing activities but the heavy equipment and machinery having a risks that needs to proper analysis of the each activities and its sub activities, processes and its concern supporting activities, machinery, equipment and bill of materials with the manpower behavior analysis to identify risk on subjects, all the potential risk are identified and ranking to proper controls over it. Eliminate process where the risk is identify and not possible to remove form process that eliminate risk from system. Engineering controls is one of the best possible ways to eliminate or minimize risk level in the system; generally in the risk assessment system management’s first choice is engineering control through controls on risk level. In case any material having conform risk that management needs to control by the substitute materials for the controls, substitute materials should be also need to proper ranked and analyzed to ensure the risk should be minimize or eliminated. 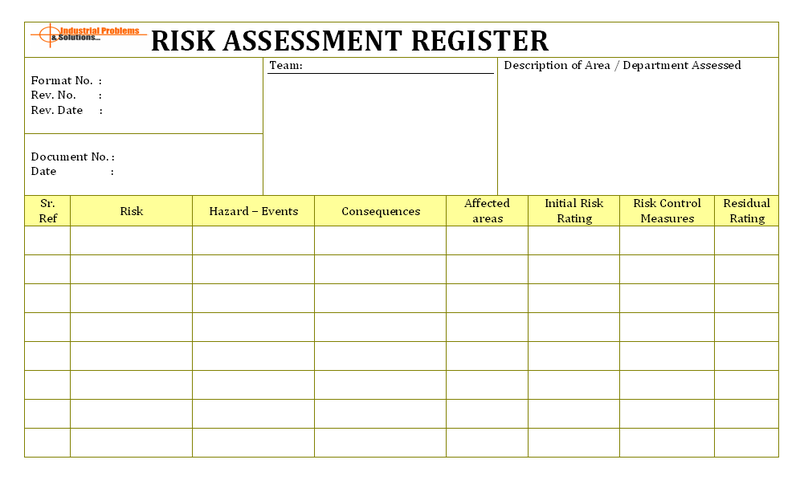 Only deployment of the control measures and control over the risk on high leveled identified risk is not enough, for the continual improvement in the workplace and processes that need to each identified risk and its proper assessment is required to provide safe working environment and needs management commitment for the same in the workplace.